Kenny joined Begbies Traynor in January 2014 after a short sabbatical. 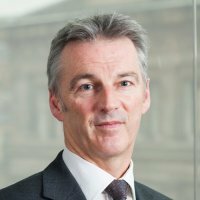 He specialised in corporate recovery and restructuring with RSM Tenon for 21 years, operating throughout the country and founding their Glasgow operation in 1995. He was previously with C&L audit, then Cork Gully, based in Edinburgh, with foreign stints in Liberia, West Africa and Sydney, Australia. He was integral to the development of Glasgow into one of Tenon’s most successful full service offices. In latter years he started their personal insolvency business in Scotland which saw leading market share of PTDs in 2011.